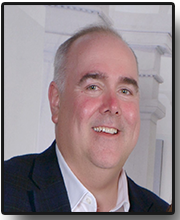 Born and raised in St. Marys, William Brock is the great-great-grandson of Straub Brewery Founder Peter Straub, and was appointed President and CEO of Straub Brewery on June 1, 2009. In addition to Peter Straub, Bill follows in the foot-steps of his Great Grandfather Joseph Straub (General Manager & Brew Master), Grandfather Carl Straub (Secretary/Treasurer and life-long Brewery employee) and his Mother, Patricia Brock (Chair of the Straub Board for 15+ years). Bill’s passion for Straub is based on the legacy that precedes him and his desire to ensure the brewery’s continued longevity. His vision for the company is the driving force behind Straub’s transformation – which honors and preserves the brewing heritage while maintaining relevance in today’s beer industry. Bill’s extensive background in business and non-profits includes executive level positions, management consulting and economic research and analysis, as well serving on various boards. Bill holds a Master’s Degree in Public Management and Policy from the University of Pittsburgh and a B.A. in Liberal Arts/Economics from St. Vincent College. Bill is married to Katherine Brock and has two children – Hannah and William. 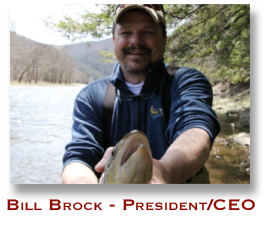 Outside of the Brewery, you will probably find Bill fly fishing in the Pine Creek area! 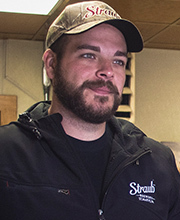 Vince Assetta has been the General Manager and Head Brewer at Straub since 2010. He was appointed Vice President in 2012. 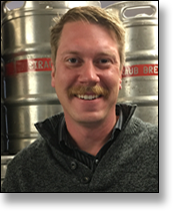 Vince’s professional brewing career began at Straub and he has an Associate’s in Brewing from the Siebel Institute in Chicago. He is responsible for brewery operations, accounting and finance. Over the past several years, Vince and his team started an R&D Program from which has emerged a line-up of Straub specialty beers. These have included 1872 Lager, Groundhog Altbier, Maibock, IPL, Doppelbock, Straubweizen, Straubtoberfest, etc. just to name a few. Before joining Straub Brewery, Vince had extensive experience in accounting, finance, and manufacturing. Vince earned a Bachelor’s degree in Accounting from Saint Vincent’s College and a C.P.A. from Pennsylvania. Similar to Bill, you will find Vince spending quality time fishing or bird hunting with his true companion, Henry. Cathy Lenze was born and raised in St. Marys and has been at Straub Brewery since 2011. In this role, she coordinates the public relations and marketing campaigns and initiatives for the corporation, as well as manages a statewide team of Brewery Sales Reps, and relationships with hundreds of distributors, bars, restaurants, and other venues. She attended the Pennsylvania College of Technology in Williamsport with a degree in Business Administration/Marketing. Before joining Straub Brewery, Cathy spent many years as the Executive Assistant for a local nonprofit organization, assisting people with disabilities, and she spearheaded numerous community and charity projects and events. She enjoys spending time with her husband, Chuck, and two beautiful little girls, Alexia and Olivia. AJ Alexander has called St. Marys home most of his life. He attended the Pennsylvania State University studying wildlife and fisheries. AJ was educated on different styles of beer via working at taverns in the State College and St. Marys areas. 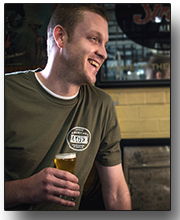 Immediately after college he started working at a local beer distributor and held responsibilities as a craft beer sales rep. in North Central PA. AJ was hired full time at Straub Brewery in October of 2011 as a retail store employee. 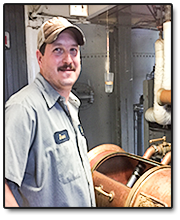 In April 2014, he took on the role of Brewery Sales Associate, then, in October of 2015, he accepted the position of Regional Sales Manager for Northwestern Pennsylvania. As an avid outdoorsman, he admires the northern Allegheny Mountains, especially the Clarion River basin. AJ has fun with lots of outdoor activities such as fishing, hiking, biking, kayaking, golfing, snowboarding, and rock climbing. He is also a Pittsburgh sports fan rooting for the Steelers, the Penguins, and the Buccos! Eric Heinauer is a lifelong resident of the Pittsburgh area and graduate of Indiana University of Pennsylvania. 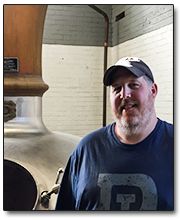 His 20+ years of experience in the brewing industry began at Penn Brewery in Pittsburgh under Tom Pastorius and has included positions at craft, regional and international breweries. His favorite style of beer is Oktoberfest. In his spare time he enjoys travel, and cooking for his family. Eric volunteers for numerous organizations most prominently Avonworth Community Park and Riot Travel softball. George is a native of St. Marys, PA. He attended the Pennsylvania College of Art & Design in Lancaster, PA where he majored in Illustration and later on earned an Associate’s Degree in Business Administration from Penn State. He has been an active free-lance artist throughout the region for the past decade creating everything from commercial works for local businesses to family portraits. He is an advocate of Straub Beer as well as his hometown and the PA Wilds. George serves as the Brewery’s Graphic Design Artist, Social Media & PR Specialist, and Inside Sales Representative to all of Straub’s Wholesalers. A St. Marys, PA-native, Roseann attended Edinboro University as well as the University of Pittsburgh at Bradford. She has worked in the Customer Service Industry for over 10 years. Since 2015, Roseann has worked at Straub Brewery as the Brewery Tour Guide and Retail Sales Associate, managing the Straub Brewery Gift Shop. In her free time, Roseann enjoys spending time with her family outdoors in the PA Wilds. Michelle Cooney was born and raised in Cambria County and began her work for Straub Brewery as a Brand Ambassador in 2015. In 2017, she began working directly for the brewery as a Marketing Associate. 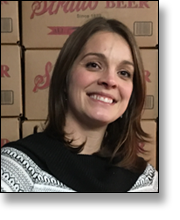 Michelle helps with scheduling beer tastings and special events and works closely with the Straub Brand Ambassadors and wholesaling partners. She also works with social media creative. 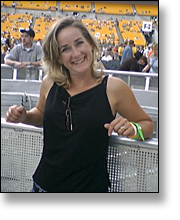 She attended the Pennsylvania State University with a degree in Elementary Education. 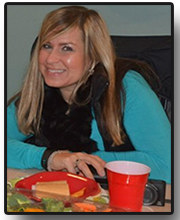 Before working for Straub, Michelle taught Kindergarten for 10 years in the Altoona area. In her free time, she enjoys the outdoors and hanging out with her family, doing house projects! Aaron was born and raised in Elk County. He attended the University of Alaska in 2009 and graduated from the University of Kentucky in 2014 where he received his Bachelor’s Degree in Marketing and a Bachelor’s Degree in Business Management. Aaron has a passion for the outdoors, woodworking, and great beer! A native of St. Marys, T.J. first got his start at Straub Brewery in 2000 working in our Beer Store, then onto the Bottlehouse/Production Line, and then worked as a Cellar Man. In 2011 he earned a Associate’s degree in Brewing Science and has been brewing our line up of award-winning beers ever since. In his spare time T.J. enjoys the outdoors and spending time with his family. Mike is a native of Chicago, Illinois and after spending some time in Minnesota where he met his now wife, former St. Marys resident Heather Conrad, the two moved to California. They then decided to move back to her hometown of St. Marys in late 2014. Mike has a BA of Science in Natural Resources and from 2007 – 2014 has worked in the Park & Protected Area Management Field serving some our nation’s greatest national parks such as Sequoia National Park, the Grand Tetons, and Shenandoah National Park. 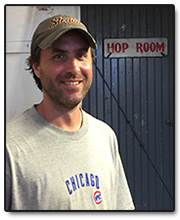 Mike got his start at Straub Brewery as a Cellar Man in 2015 and since then has earned an Associate’s Degree in Brewing Science from the Brewer’s Guild of America. 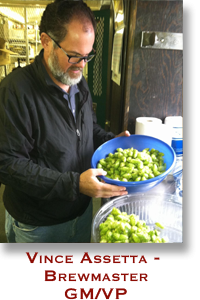 Mike’s current role at Straub is Assistant Brewer.